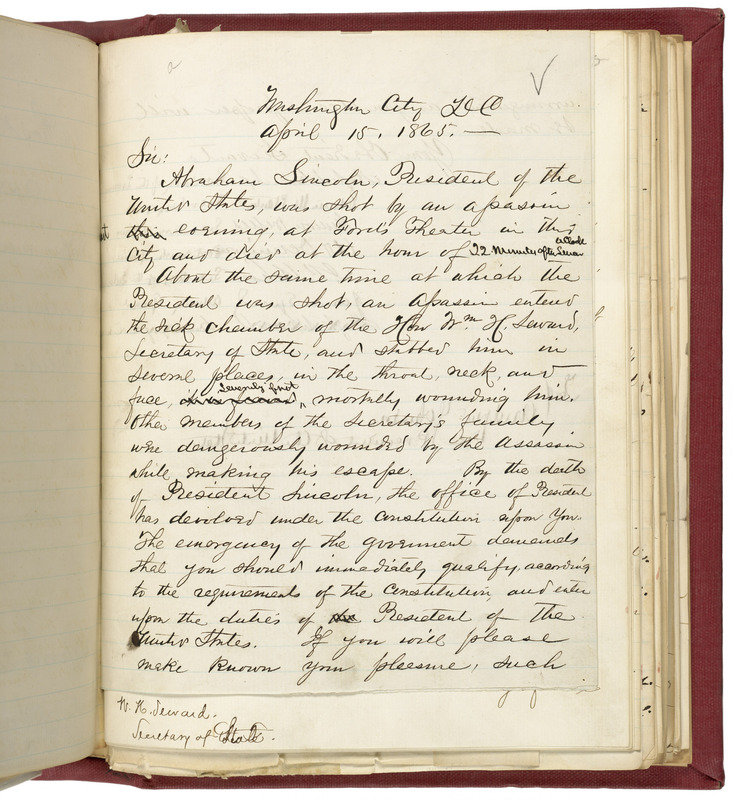 Lincoln's Cabinet wrote to Andrew Johnson the day of his assassination to inform him of the events and to inform him of the next move for the U.S. government. Abraham Lincoln, President of the United States, was shot by an assassin last evening, at Ford's Theater in this city and died at the hour of 22 minutes of seven o'clock. in the throat, neck, and face, severely if not mortally wounding him. Other members of the Secretary's family were dangerously wounded by the assassin while making his escape. By the death of President Lincoln, the office of President has devolved under the Constitution upon you. The emergency of the government demands that you should immediately qualify, according to the requirements of the Constitution and enter upon the duties of President of the United States. If you will please make known your pleasure, such arrangements as you deem proper will be made.